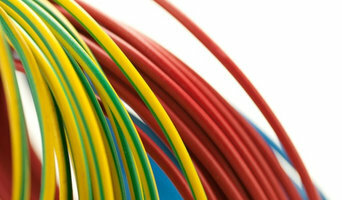 Christchurch Electrical stands today as one of the longest established electrical companies in Christchurch. From mild beginnings in the 1950’s to the current large entity comprising of specialised departments with over 50 qualified electricians, with a wealth of experience across all sectors of the electrical industry. Our large team of well-qualified and experienced staff allow us to offer a comprehensive service that can get almost any imaginable electrical job completed quickly and to a very high standard, reflecting our company motto “Of course we can do it”. Paul Howells has been involved in the electronic/electrical industry for over 30 years. I commenced my electrical apprenticeship and ongoing training and work in the Royal New Zealand Navy. After 20 years service, I continued in the electrical industry as a registered electrician, providing a wide range of electrical services, focusing on the domestic, light commercial installation and servicing in Christchurch. I formed my company in 2005 where I provide a prompt reliable service in meeting all your electrical needs. CHRISTCHURCH'S PREFERRED ELECTRICIANS #Right Skills #Right Values We believe trust should be earned through experience and, of course, some pretty good results. We are all about building long term relationships. When Smart Sparks started in 2004, our aim was to provide a smarter way of helping clients with their electrical requirements.Our team has grown to more than 50 full time staff across all the divisions. Collectively, we have many decades of experience in domestic and commercial installations, data, air conditioning, lighting, design, electrical maintenance and much more. If you’re building in Christchurch or Canterbury and need a electrician in Christchurch we are here to help. Give us a call and we will help you with your electrical plan and design. We are happy to give you free advice on your project with no obligation to use us. We understand the new home build process inside and out and we are more than happy to guide you through the electrical component of the build. At Skilled Electrical we use only the best value products which have a proven track record of reliability, quality and efficiency. And of course, you can expect our usual high standards of workmanship. NZ’s leading manufacturer of ground support equipment for both small and large air operations. Gino Hydraulics -Offers a full design and build service to tackle your specific ground support equipment task. We build large aircraft jacks and work stands, but also provide more intricate individual aircraft tooling. 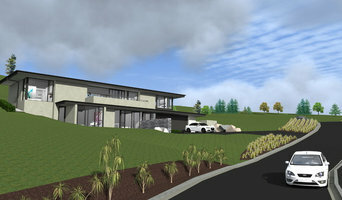 DCIS is a Christchurch owned and operated business specialising in heat pump installation. We also provide general electrical services throughout Christchurch, Selwyn and the Waimakariri region. Electricians in Christchurch, Canterbury, New Zealand plan, install and repair your home's electrical wiring, circuit boards and electronics. They read blueprints, measure and test electricity and have a thorough understanding of Christchurch, Canterbury, New Zealand building codes. While most electricians are known for their work installing power points, or altering switchboards and safety switches, his or her job also includes installing and repairing a variety of fixtures such as ceiling fans, security systems, fire alarms, air conditioners and other visible components of electrical systems. On a construction site, an electrician in Christchurch, Canterbury, New Zealand may work closely with project managers and builders to determine the specific electrical needs for your project. Here are some related professionals and vendors to complement the work of electricians: Lighting, Building Project Managers, Solar Power Contractors, Heating & Air Conditioning Contractors. Find an electrical contractor on Houzz. Narrow your search in the Professionals section of the website to Christchurch, Canterbury, New Zealand electricians. If you’re planning a large-scale project, you’ll find other professionals on Houzz who can help get the job done, too.